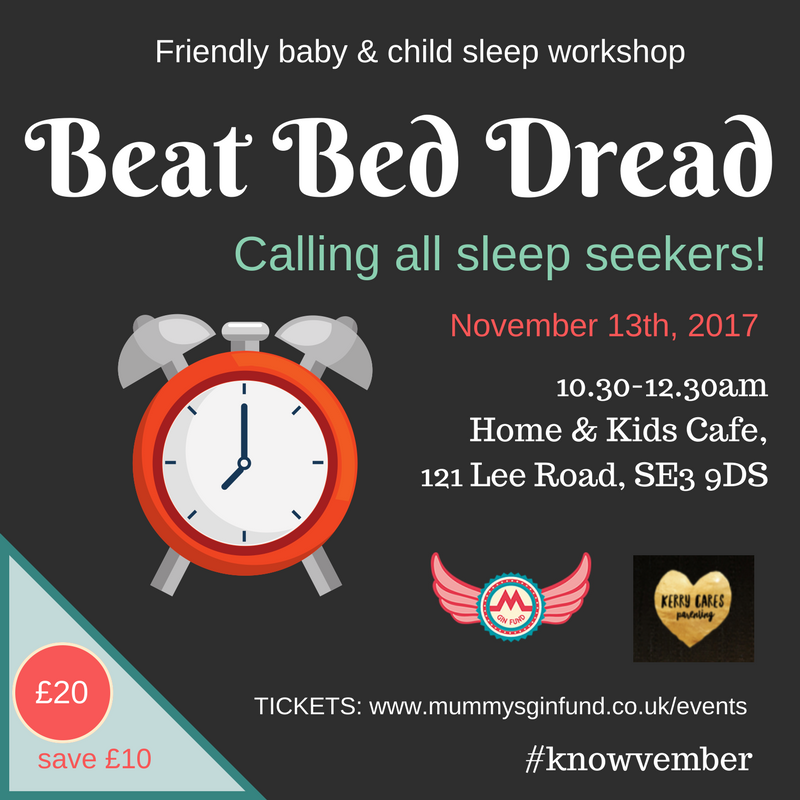 Mummy’s Gin Fund is delighted to be working with Kerry Secker from Kerry Cares Parenting to present a second ‘Beat Bed Dread’ session. These workshops sell out fast at full price – this has 1/3 off so BE QUICK! Is your little one fighting sleep, unsettled or waking constantly at night? Are you exhausted and can’t see any light at the end of the tunnel? Does the thought of sleep training or controlled crying fill you with bed dread? I promise you aren’t doing anything wrong and your little one doesn’t need fixing! There is always a biological reason behind bedtime behaviour and a caring way forward. To find out how come join my friendly sleep session. When does something become a sleep issue? Places cost £15 and include a sleep hand-out. Kerry Secker is a qualified and caring paediatric sleep consultant. She is the founder of Kerry Cares Parenting and her Care It Out sleep approach. She is on a mission to share the care with parents that you don’t HAVE to sleep train and that you CAN improve your whole family’s sleep with an approach that is sensible, logical AND caring. This event is part of Mummy’s Gin Fund’s exclusive #knowvember series. A whole month of face to face and online activities designed to reduce isolation, promote friendship and strengthen communities. Everyone is welcome to all of our events. Read more here: www.mummysginfund.co.uk/knowvember.